In North America adults spend about 87% of their time in buildings, 6% in vehicles and 7% outdoors, making indoor air quality extremely important to our health. 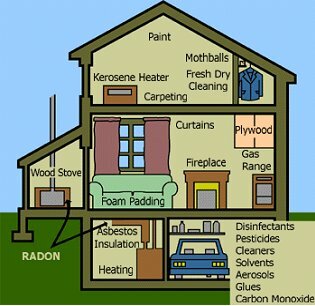 How do you measure indoor air quality inside your home? And what can you do to improve it? Add your questions and comments to the conversation today at 2:00 PM when Dr. Woodard welcomes Anne Schlapia, from the Department of Health and Human Services and Scott Waterman of the Alaska Housing Finance Corporation to discuss indoor air quality. LIVE BROADCAST: Mon, October 27, 2008 at 2:00 p.m.
REPEAT BROADCAST: Mon, October 27, 2008 at 7:00 p.m.